Offering 25+ years of experience in residential remodeling services we can handle almost any project. From kitchens to bathrooms, to updates, additions, you name it we can get it done in a professional, timely, and cost efficient manner. 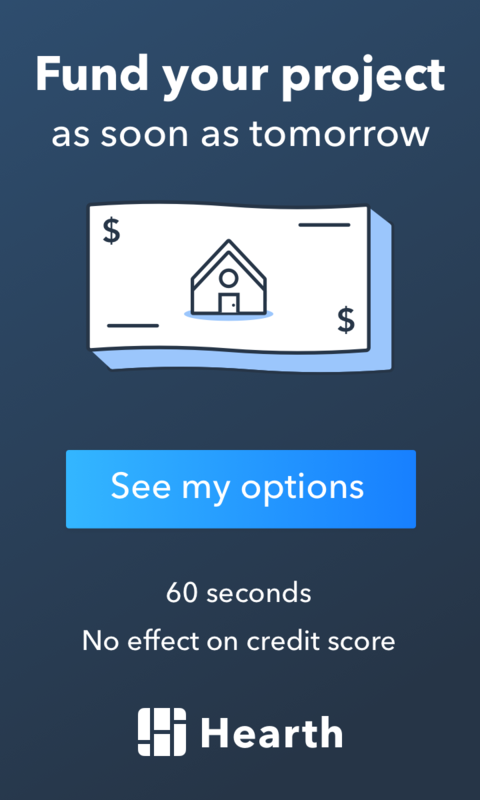 Contact us today to learn more about what we can do for you! Phoenix Roofing and Remodeling offers kitchen design and installation. 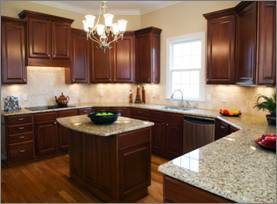 Kitchens are one of the top remodeling choices and typically have a favorable return on your investment. If you’re looking for a new kitchen we are here to help every step of the way. TIP: Take your time and have a good plan for your kitchen. There are many colors, designs, and cabinet choices available on the market today. A properly designed and installed kitchen is worth the time and investment. Phoenix Roofing and Remodeling also specializes in bathroom remodeling, renovation, and installation. Who does not love a newly designed and installed bathroom? 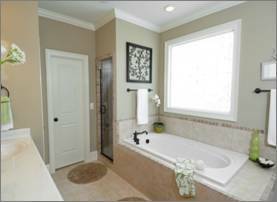 There are many things to consider when designing a new bathroom like flooring, walls, fixtures, lighting, color and more. Let us help you design your new bathroom. New flooring can really change the look and feel of any home. Phoenix Roofing and Remodeling can install all types of flooring from tile to wood. Beautiful floors will make a statement throughout your entire home. And, as you know, there are lots of flooring designs and colors to choose from. TIP: Think about and consider what is attractive to you in different types of flooring. Other things to consider might include the wear and tear of the floors, whether you have pets, and cleaning and maintenance. 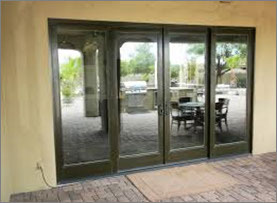 Phoenix Roofing and Remodeling can remove and install new windows, entry doors, and interior doors. A new front entry door is the first impression for any home and new windows can enhance the look and feel of your home while reducing your energy bills. We have access to quality and energy efficient windows, as well as numerous door designs to help you make the right choices for the style of your home. TIP: Quality windows and doors can provide a payback on your investment through improved energy efficiency and can provide added value and appeal to your home. Moldings and trim can really add visual appeal to your home. Phoenix Roofing and Remodeling can install various types of moldings including casing, baseboard, crown molding, wainscoting and more. We can also design and install specialty items like staircases, bookshelves, and entertainment centers. TIP: Professionally and properly installed finish trim is very important. Done right, you will be more than happy with the results and the look additional moldings and trim can provide. 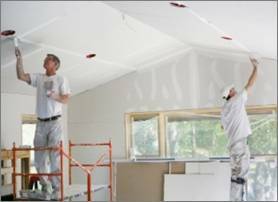 Phoenix Roofing and Remodeling offers drywall repairs, drywall finish, and various textured wall and ceiling installations. Also, if you’re looking to have an older popcorn ceiling removed and refinished, we do that as well. Whether you have cracks, impact damage, holes or just need new drywall installed, we have you covered here at Phoenix Roofing and Remodeling. TIP: Drywall finishing and texturing takes some practice and skill. The proper techniques for taping, mudding, tapering, sanding and finishing are very important for a good quality job. Phoenix Roofing and Remodeling offers both interior and exterior painting services. Services include whole exterior house painting, including trim, soffits, fascia, and doors. Interior painting services include standard and custom painting on all interior finishes. We use the best quality paints for a superior look and finish. TIP: Painting is not difficult but think things through before taking on too large a project and make sure you have the time and proper equipment to do the job properly and safely. 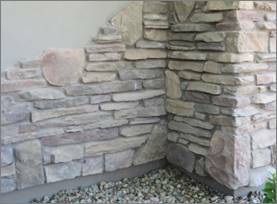 Stone Veneer is a great way to enhance your home outside and inside. Stone Veneer can be installed over stucco, concrete, block, and even drywall and wood surfaces when prepped properly. There are numerous ways to design this beautiful stone into your home. Phoenix Roofing and Remodeling not only installs Stone Veneer but can help you with ideas and selection of colors and patterns. TIP: Get on the web and look at the various colors, shapes and designs of Stone Veneer. Also, take note of some of the homes in your area to see what stone designs and colors appeal to you. 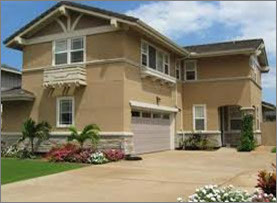 Phoenix Roofing and Remodeling provides services to repair and install stucco. 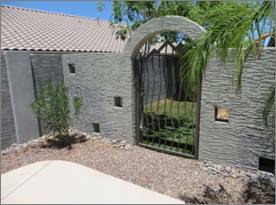 We also install block privacy walls, garden walls, and arched walls. Also, if you’d like, we can even apply a stucco coat to those ugly block walls in your backyard, giving you a nice finished look and an improved appearance for your backyard oasis. TIP:Check your exterior stucco routinely for damage and cracking, especially if you have a flat roof with parapet walls – they are known to crack and birds love to peck holes into them. Paver stones come in various sizes, colors, and patterns. 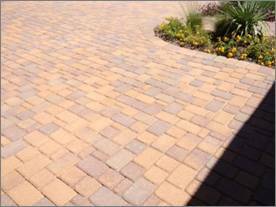 There are also different types of pavers available like manufactured pavers or natural stone pavers. Pavers or ceramic tiles can really add tremendous appeal to any walkway, driveway, or patio. Phoenix Roofing and Remodeling is here to help you with all your paver needs, from selection to installation. TIP: The key to a quality installation is layout, planning, edging and making sure you have a proper base in place in which to install the pavers over. 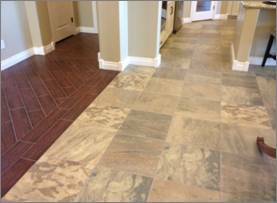 Grout, no grout, or sand is also important for a nice finished look and appearance. 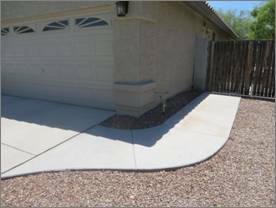 Phoenix Roofing and Remodeling also offers concrete installations, including walkways, driveways, patios, and curbing. Poured concrete, colored concrete or stamped designs are our specialty. Give us a call and we’ll come out and help you with all your concrete needs. TIP: There’s a lot you can do with concrete today. You can color it, and even stamp it into various designs. Concrete can also be sprayed with Kool-Decking which is great for pool decks.